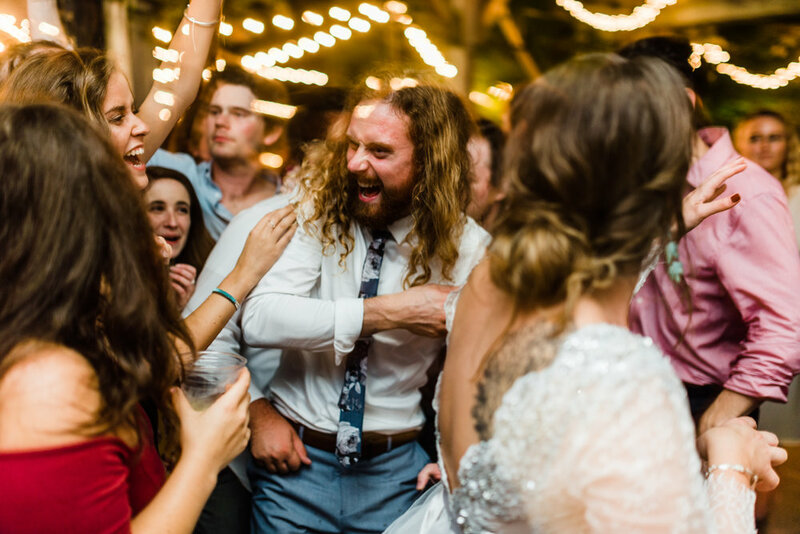 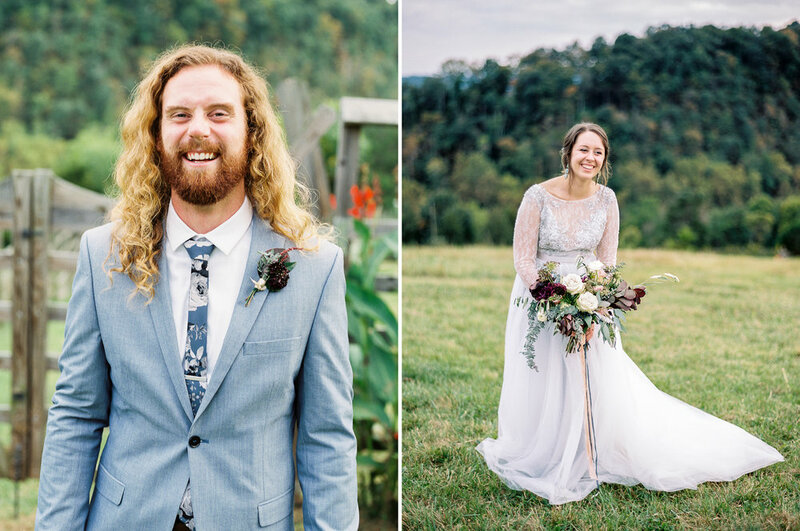 Tia & Aaron – I like to refer to them as the most joyful and earthy couple. 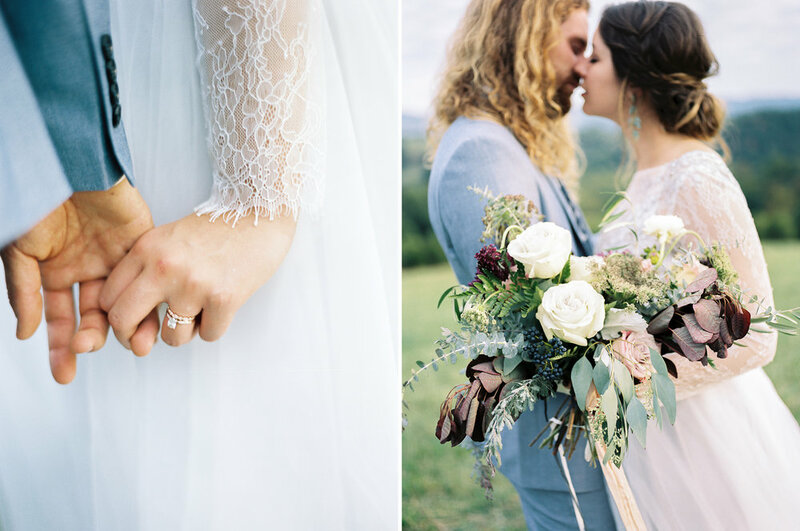 Tia was my second roommate during my time in grad school and I LOVE that we were able to not only share in their celebration but to capture their wedding day on film. 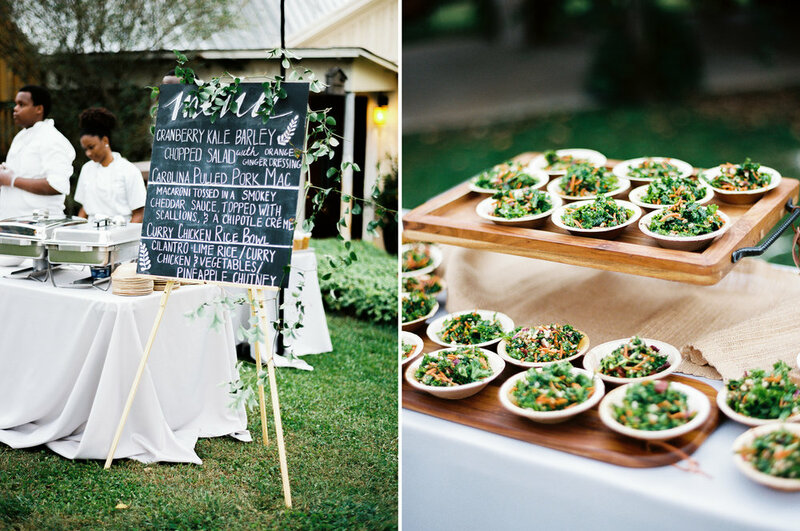 Plus, their wedding served as a mini-vendor reunion for us and we didn’t mind that one bit. 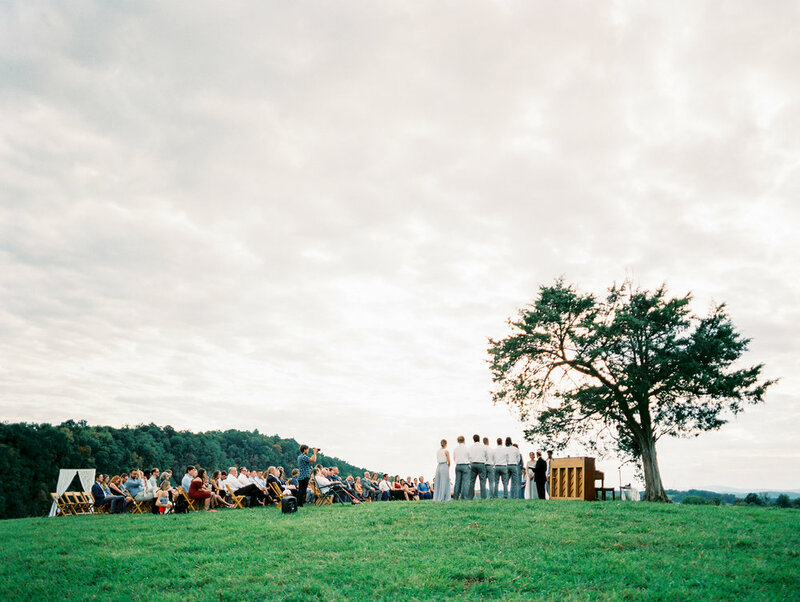 In lieu a first-look, Tia & Aaron exchanged notes before their ceremony where Tia also gave Aaron a chest of sentimental items that she’d collected throughout their relationship. 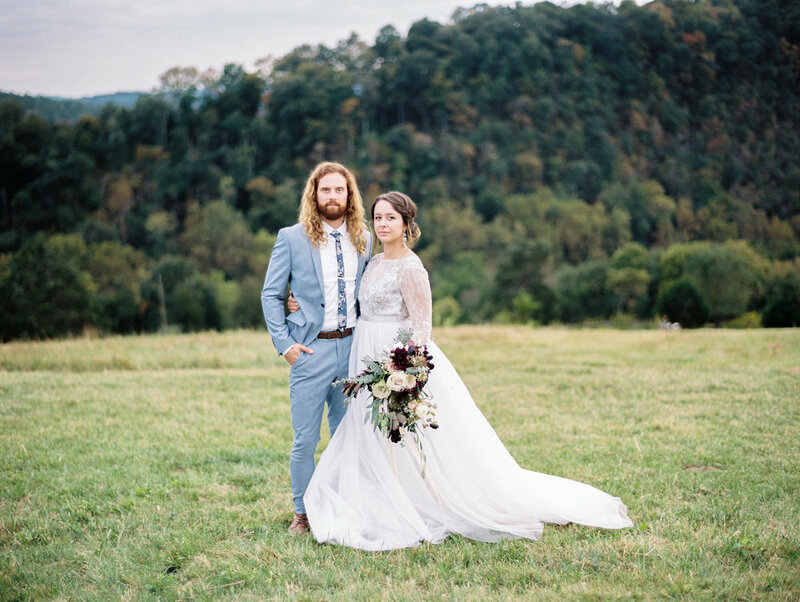 Much like their epic engagement session, Tia & Aaron got married in the Blue Ridge Mountains right in Lexington, Virginia. 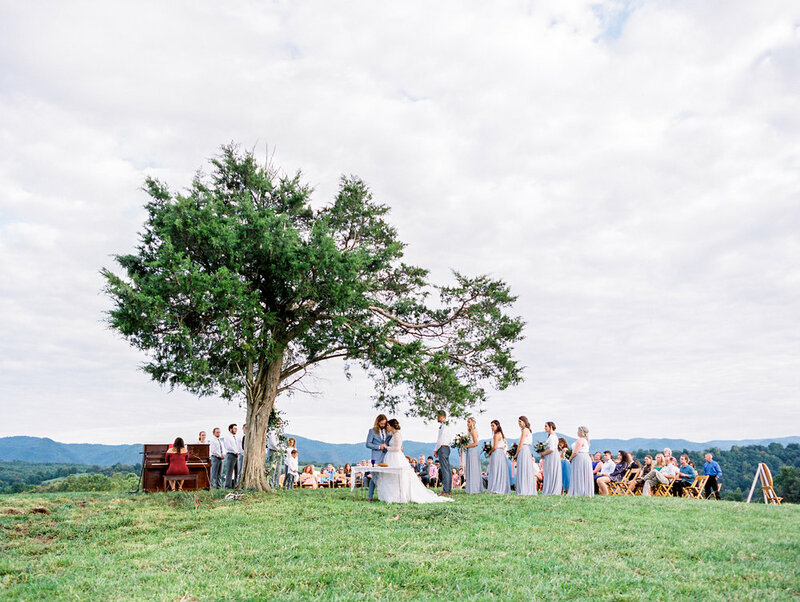 Their hill-top ceremony landed them right in front of a massive wedding tree that Petal Flower Company worked magic on. 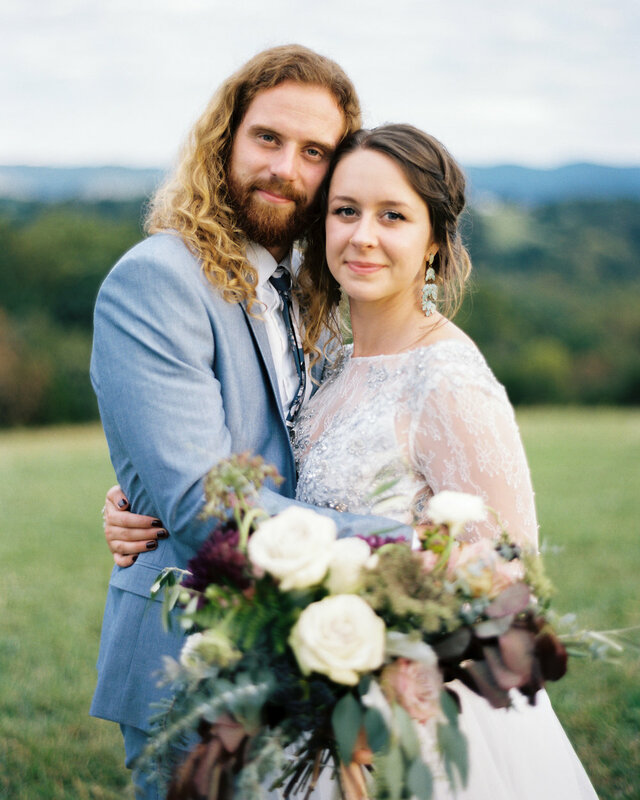 And to further their relational intentionality and bohemian romantic vibes, their vows, music, and communion brought everyone to tears. 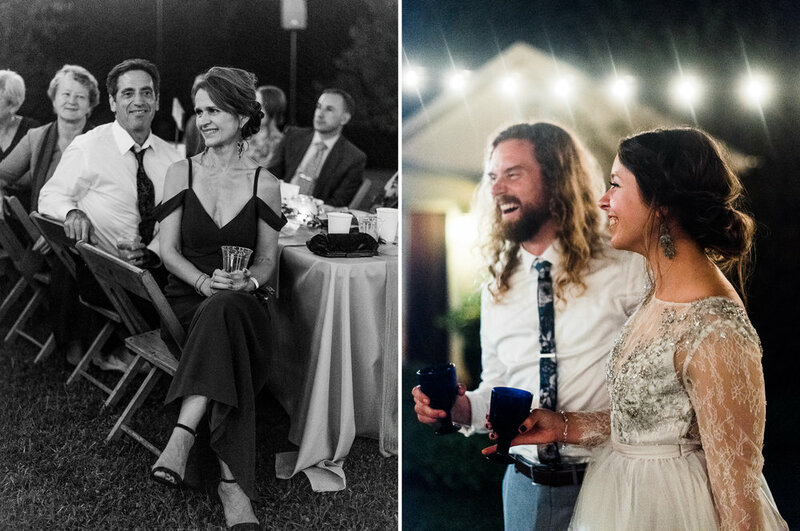 Right after walking up the aisle, Tia and Aaron took a moment to honor and thank their parents and that was the second time I cried. 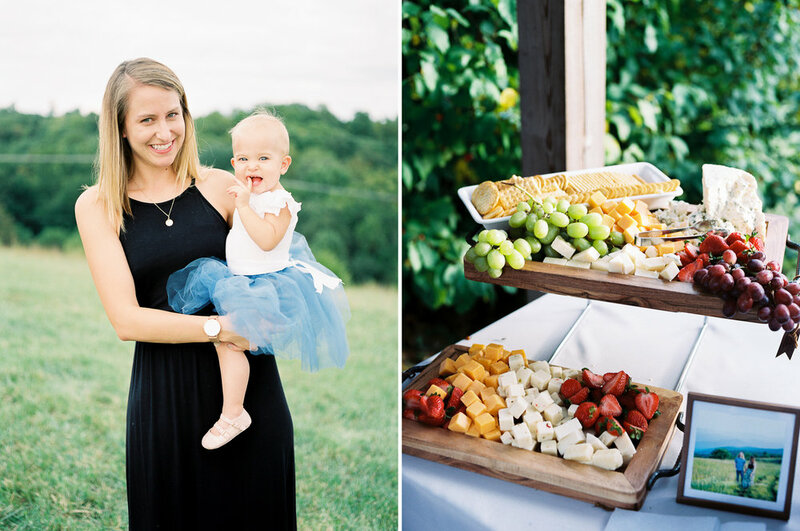 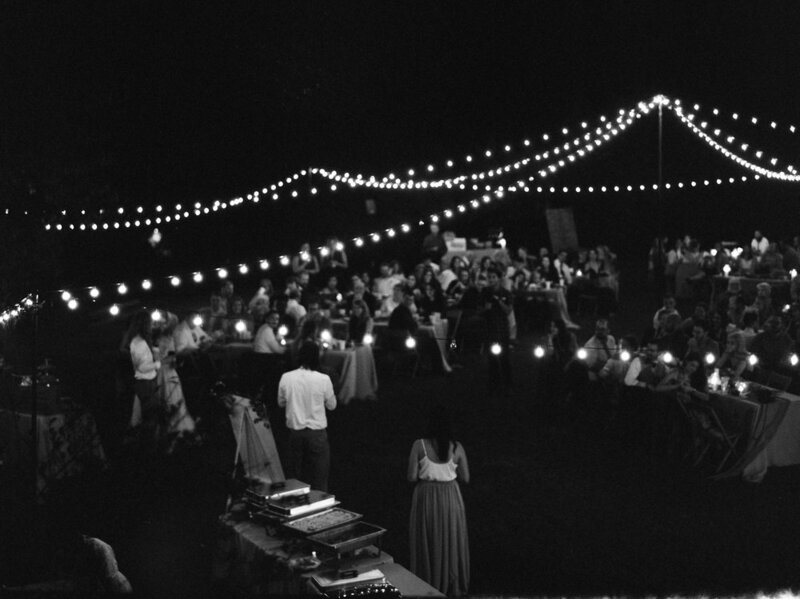 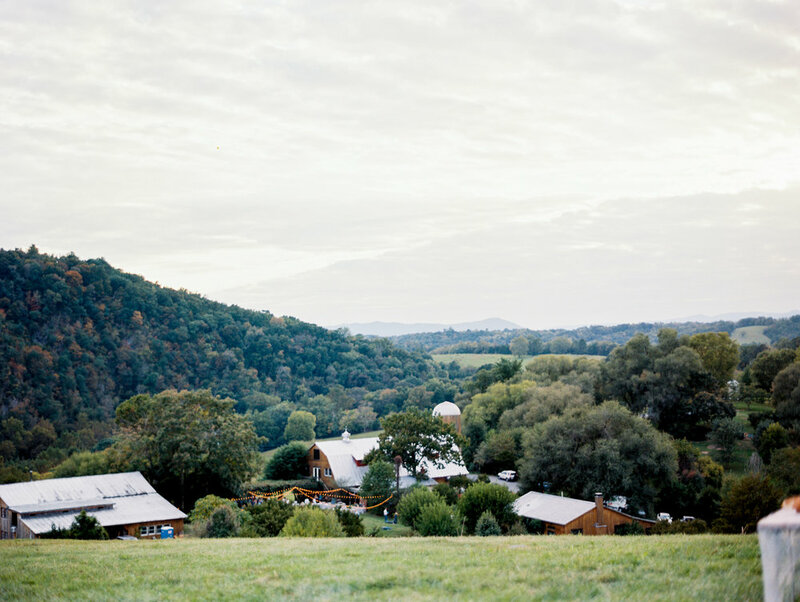 The night ended with their dreamy reception set under stars and string lightbulbs with plenty of delicious local Lynchburg desserts and dancing that could’ve lasted for days. 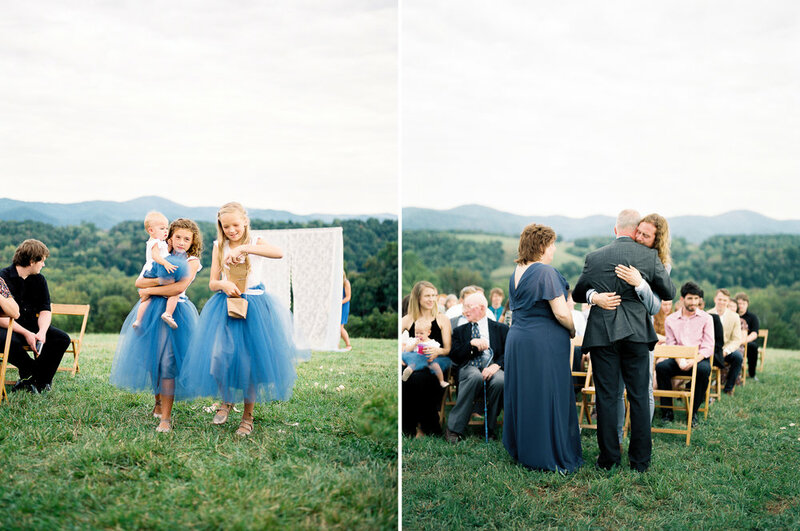 Though there’s a million things I loved about this day, the couple takes the cake (and those adorable tulle clad flower girls). 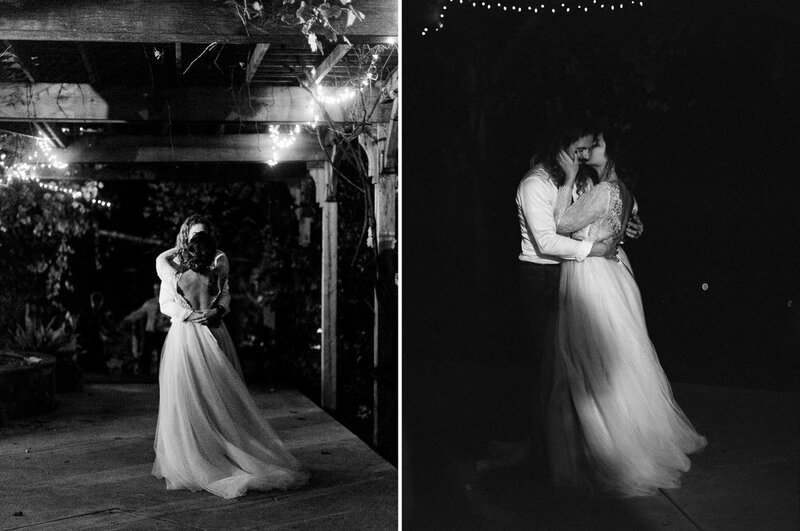 Congrats Tia & Aaron, we’re honored to not only be your wedding photographers but also your friends.